been accumulated for over 400 years in Takaoka-shi, Toyama, Japan. 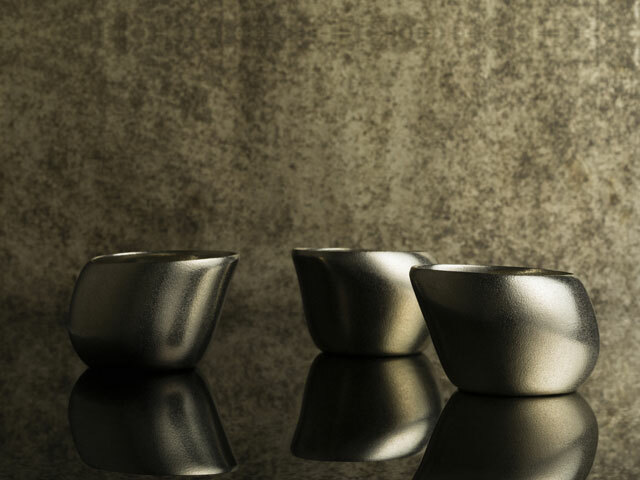 From iced coffee to sake, this cup is designed to capture the perfect amount of aromas and tastes. broader openings for full bodied sake, narrower for medium bodied sake, and trumpet shaped for fruity sake. The shape and thickness of the cup affects your impression of the drink. Enjoy finding the best spot to match the drink you choose. Let’s explore your favourite sake with our Travel choco.